The idea for this VS Team System version control checkin policy came up in the week before Christmas when I was pointed to one of the shortcomings of TFSCCPolicy, namely that it would flag commented-out methods as missing code comments. That triggered me looking at the source code and I saw that it was using regular expressions. Why use RegEx when you can use a full-blown parser engine with a DOM? Well, that's what I thought and therefore got in touch with Daniel, technical lead of SharpDevelop. We discussed two potential ways: either going to the metal using NRefactory alone, or go it easy using the DOM and visitors. He even supplied me with a few lines of code to get started - of course for the latter option because I am a lazy coder. Given that plan, I of course got around to the policy project as the last one today. When I was pretty much done, I set out to test it for the first time inside VSTS - whoa, what a surprise. It balked almost immediately. 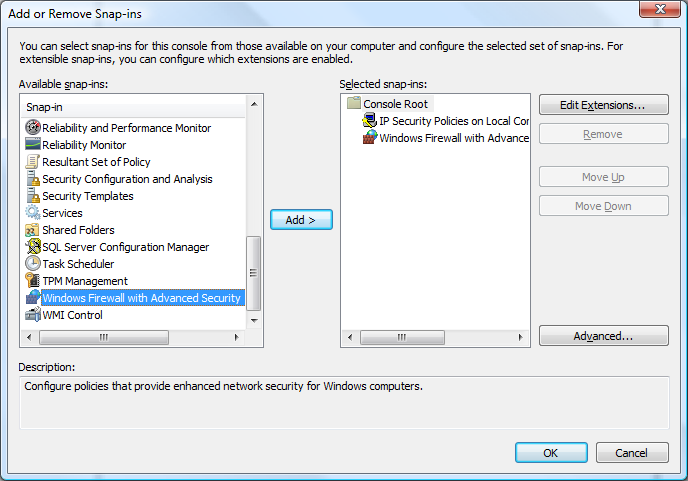 You can read my quest for enlightenment here, the main takeaway: don't outsmart yourself when you create a checkin policy which consists of multiple assemblies that don't live in the GAC. It is currently limited to C#. VB.NET will be added later, all I need to do is instantiate the parser. It is as easy as that. Auto-update when files are saved. Someone please hit me with the clue stick. It doesn't exclude all auto-generated files, just the .designer files like TFSCCPolicy. I need to sit down and make a list. Not all elements correctly report the line number. Unit tests - well, only one at the moment. More to follow of course, including the full build automation. Cleanup in the logic library. Other than that I would love to get feedback from you on this initial version! Simply post feedback on this blog entry. If you are interested in using it only, then please go to the Drop directory. For those interested in the code: start with the solution file in the Source folder (and then go to Setup). Updates to the code / checkin policy will be linked to at the end of this post, so feel free to bookmark this blog post for your reference on CCCP. 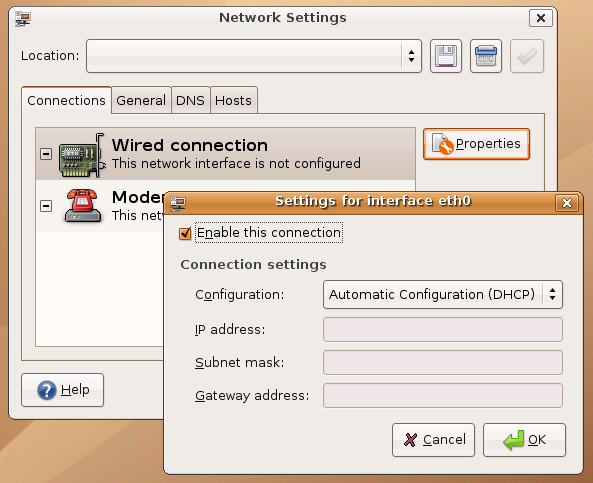 Our ccnet.config file is maintained by using Notepad (yes, you read that right). As such, I added a few <!-- --> comments here and there, mostly for pointing me to documentation, blog articles or just disabling a feature temporarily. Therefore, you can already guess my biggest gripe: on saving the file, it is auto-reformatted and all my comments are gone. 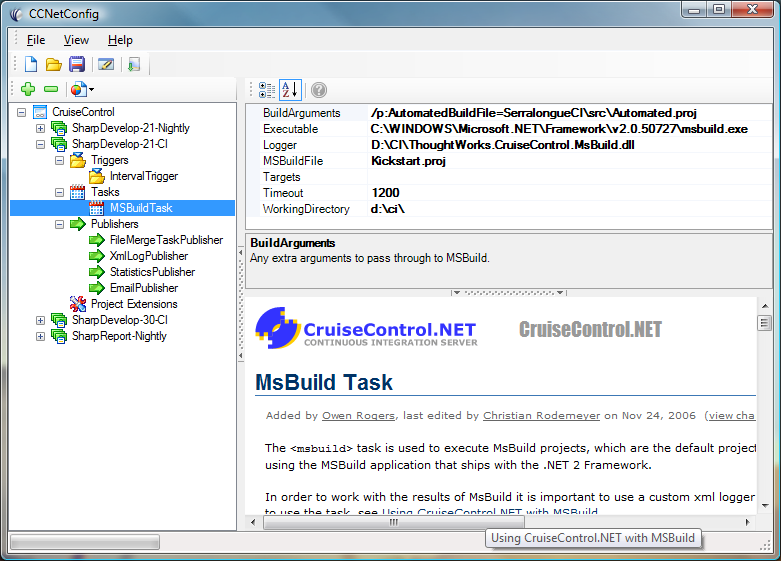 Other than that, it is a really good way of editing ccnet.config especially because all properties are easy to edit and you are presented the documentation automatically, no more searching around for tag / attribute help on the Web. Overall: very useful if you don't spend all day being release manager. Michael Howard has all the links in this blog entry Online Security Sessions from TechEd IT Forum Available. 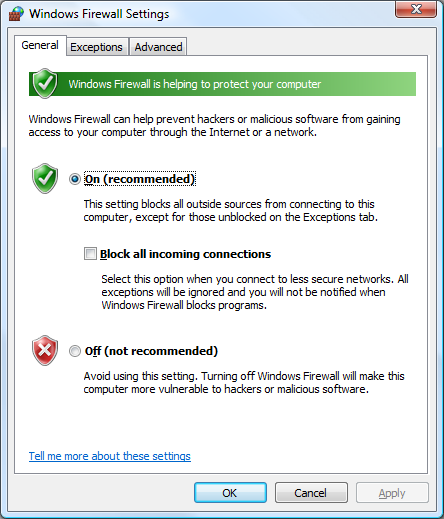 Topics include: malware cleaning, UAC internals, social engineering, Vista kernel changes, Vista firewall and IPSec enhancements. Which reminds me that the post-conference DVDs should tip up in my mailbox rsn. Two weeks ago, during this year's AspInsiders summit, I got ahold of a 1982 (!) copy of "The Soul of a New Machine" at Half Price Books. I still have to decide whether the equally ancient Continental boarding pass DEN-SEA used as a bookmark will be kept too (I guess so), but the book is definitely worth your time - be it for a computer history lesson, or on the "signing up" concept and all other project management topics being touched on (without it being a pm book). The story in itself is more than fascinating, so although old by now, it does come highly recommended. 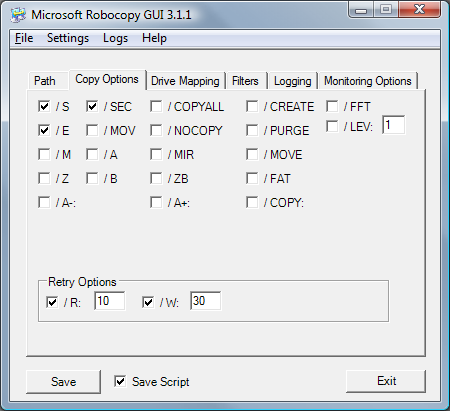 The most useful utility for deployment (or name your task, like directory comparison) is most decidedly Robocopy, which previously shipped only as part of the OS resource kits. 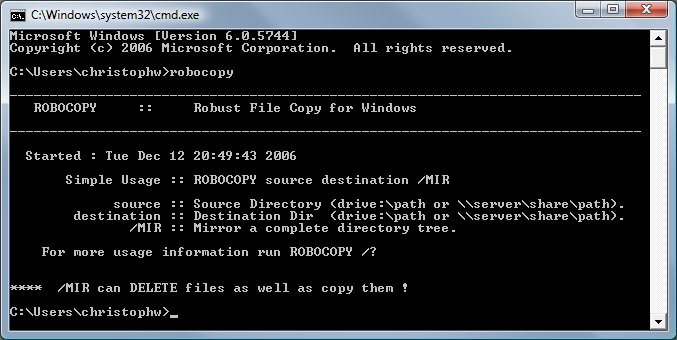 Now with Windows Vista, however, Robocopy comes in the box. It makes getting started with Robocopy a tad easier. The Feature Specifications for Visual Studio and .NET Framework "Orcas" page has a document on it entitled Get Latest on Check Out. The reason I bring this up is that I had been asked during TechEd in Barcelona at the ATE booth (by a fellow ATE) whether the default behavior for Team Foundation Version Control (TFVC) - make the current version of the file in the workspace editable - can be changed to get latest first, then make editable. The problem that prompted the question is that more often than not, a developer is likely to forget to do a Get Latest first and only then start editing. If forgotten, this can lead to unnecessary merge operations. The good news is that the feature will be available, the bad news is that it isn't today. Brian Harry has posted a blog entry on the road ahead for TFS, even beyond Orcas. Having Virtual PC 2007 Beta, the virtual machine additions for Linux Beta plus a disc of Ubuntu 6.10 Linux sitting on my desk simply proved irresistible to me. Thus: create new virtual machine, slide in the DVD, and off we go. That was the plan until I hit a snag: on switching from text mode to graphics mode, the screen garbled. Wait! I had seen this before: the emulated graphics card of Virtual PC advertises video modes it cannot actually display. And I sorted it out previously and blogged about it in mono::live. So I did the Ctrl+Alt+F3 dance and pasted the script - presto! 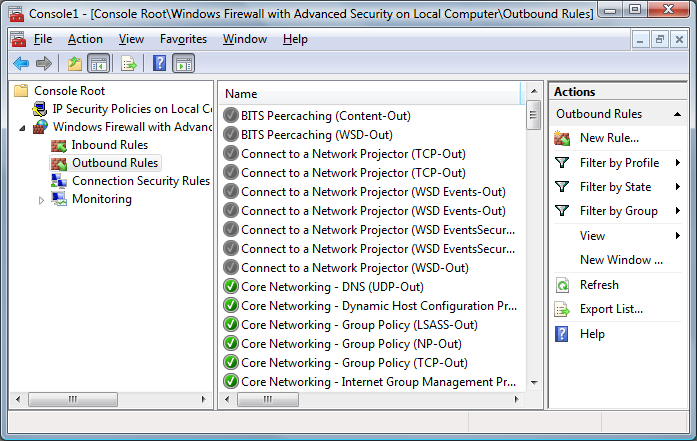 Now for the VM additions - of course used to the Windows way of things, I simply mounted the ISO image. Nicely opens up in the File Browser, where the f*ck is a Run As command here? OK, switch to terminal, su (I have to admit that took me a while including pestering a friend because I had already forgotten all the gory details). To spare you the details, after some twenty minutes of fiddling I decided to take a deep breath and actually read (gulp) the README that comes with the Linux additions. No way. The mention of operating system & compile yourself makes me cringe. Thank you, but no thank you. I will live without the additions. There is no friggin way I am doing the dance, I am way too old, and sorry, this is 2006. I don't need that "power of Linux" if all administrative usability goes out the window (Note: I am a developer, and especially because I am one I totally balk at the idea of having to compile my applications / drivers before I can use them - that is ridiculous).